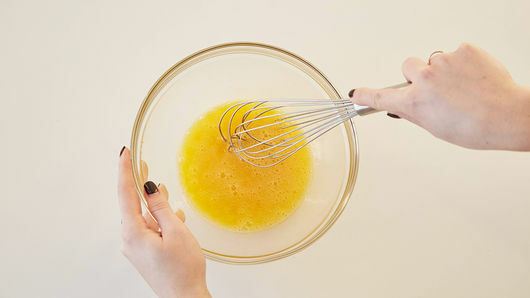 In small bowl, beat eggs and salt with fork or whisk until well mixed. 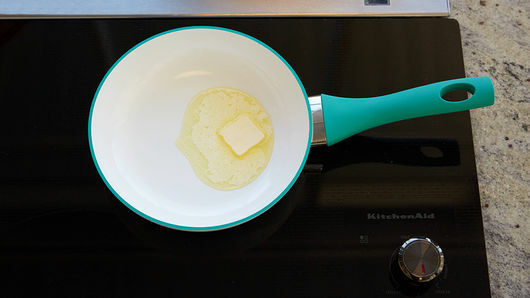 In 8-inch nonstick skillet, heat butter over medium-high heat until hot and sizzling; tilt skillet to coat bottom with butter. 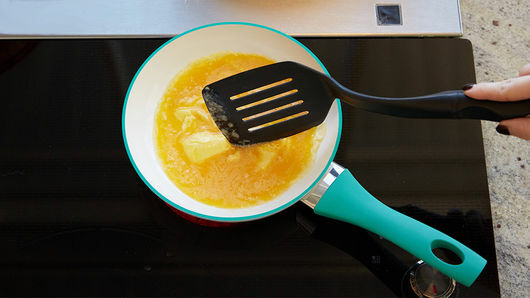 Add egg mixture to skillet; quickly begin stirring eggs continuously with heat-resistant spatula. As eggs begin to thicken, stop stirring and cook additional 30 to 60 seconds or until eggs are set. Top one half of the eggs with ham and cheese. 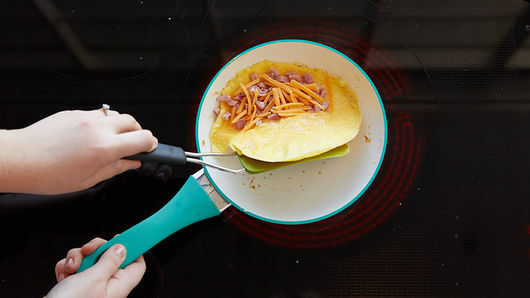 With spatula, lift edge of omelet without filling, and fold in half; sprinkle with pepper. Serve immediately. 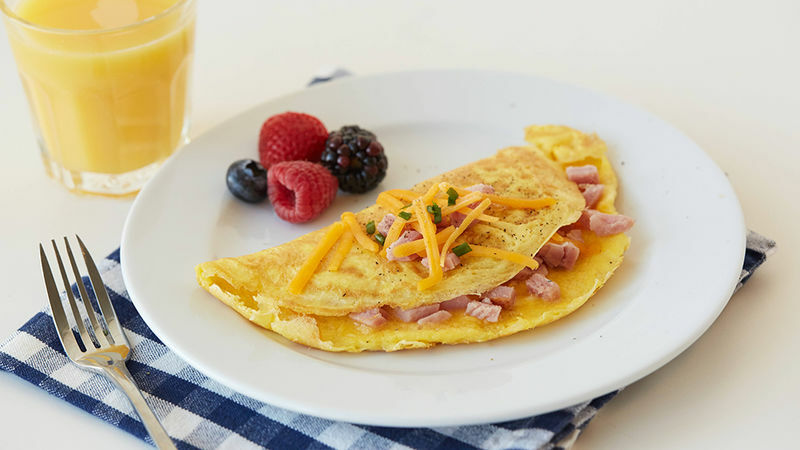 Try shredded Swiss cheese in place of Cheddar for a ham and Swiss omelet.